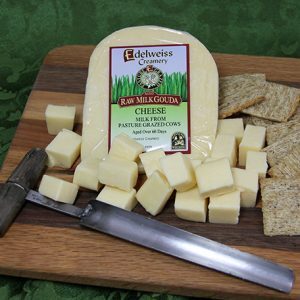 Aged Cheddar is a sharp-tasting cheese originally made in the English village of Cheddar, in Somerset. 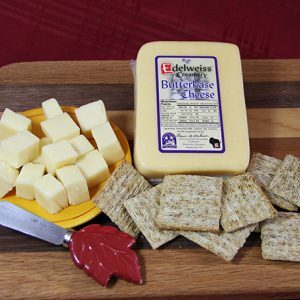 Our version of the country’s most popular cheese is made in the rolling hills of southern Wisconsin. 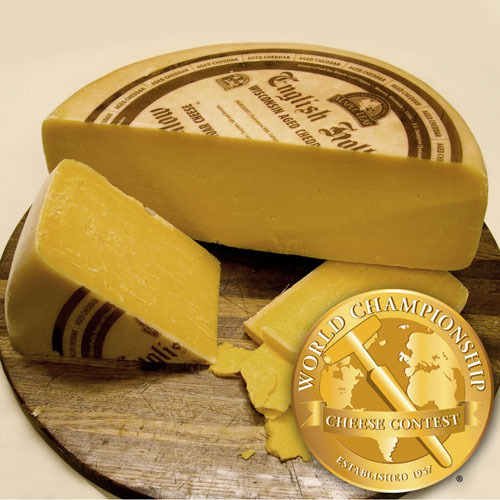 This region is famous for its strong Swiss heritage and abundant cheese factories. This particular area where we’re located, however, was once known as “English Hollow” due to a high number of dairy farms owned by English immigrants.